Degenerative disc disease is not only a very common cause of low back pain (lumbar disc disease) and neck pain (cervical disc disease); it is also one of the most misunderstood conditions that affects the spine. It is part of a larger change that occurs as a person ages, known as degenerative spine disease. Much of this confusion occurs because the terminology is not clear. Degenerative disc disease is not completely degenerative in nature and it is not usually thought of even as a disease. 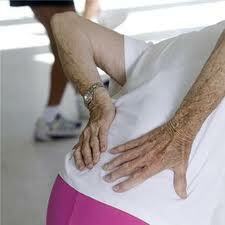 You might say it is part of the aging process and it is part of the spinal arthritis that develops in us all. As used in the name of this condition, the word “degenerative” refers to the condition of the disc as part of a larger pattern of spinal degeneration, not a deteriorating or worsening set of symptoms. Even though a spinal disc that has begun the degenerative process at some point in life will most likely continue to degenerate, the symptoms of lower back pain or neck pain that arise from this disc degeneration will just as likely not get worse as the condition of the disc slowly worsens – the symptoms will usually improve as time goes on. By strict definition degenerative disc disease is a disease. A disease is any deviation from or interruption of the normal structure or function of any body part, organ, or system that is manifested by a characteristic set of symptoms and signs and whose etiology, pathology, and prognosis may be known or unknown. Degenerative disk disease falls under that category. However, most people think of a disease as a pathology that is contagious and life threatening, and degenerative disc disease is not that. My opinion is that the confusion about this term is simply due to a few simple facts. Doctors do not explain these basic things very well when they speak to patients, and the term is not used very much in general discussion due to the non-lethal and non-glamorous nature of the problem. Disc degeneration is a natural part of the aging process and degenerative bone disease that displays a huge range of variability of disc changes and resultant symptoms. Small disc degeneration sometimes produces small and large spinal pain symptoms, just as often as large disc degeneration sometimes produces small and large spinal pain symptoms. At the extreme, some people will not produce any pain symptoms in spite of extensive destruction of the disc material. The explanation for this wide variability of disc related spinal pain is due to the fact that not all people are created equal, and for the reason like in real estate, “Location, location, location.” Some people are born with more space in certain areas of their spines that allows them to tolerate the presence of extra growth of arthritis in the area. Just like someone who owns a very large home, they can manage a visitor better than someone with a small home. The same with the spine. Some people have larger spinal canals and large nerve openings that are not easily crowded by arthritic bone growth and selling of tissue. The location factor refers to the location of where an arthritis spur might develop and the direction it might grow. Some boney growths develop and grow where they do not cause much harm, while other arthritic bone spurs are in the worse imaginable spot that cause huge problems even when they are small. When you consider these two factors together you can begin to understand that not all degenerative disc disease will affect people in the same way. Some people are lucky and some people are not. All the spinal and muscle pain and other symptoms that arise from degenerative disk disease is due to the pressure and irritation that the disc material applies to the extremely sensitive spinal cord and spinal nerve roots, as well as areas of spinal degeneration that have developed arthritis and bony growths known as bone spurs. When all of these are located in a small and tightly filled space any tiny bit of additional swelling, bulging or growth will produce pressure and friction that can be extremely painful. Other common degenerative disc disease symptoms, in addition to low back pain, are leg pain, numbness and tingling (pins and needles sensation). Even without direct pressure on a spinal nerve root (“pinched nerve”), there are other structures with the spine that are affected by the changes of degenerative bone disease that can cause pain to travel down from the buttock and into the leg. The jelly-like disc material (nucleus pulposus) is a protein material that chemically irritates the nerve tissue found near the disc space, causing the sensation of numbness or tingling to occur. Although the pain, numbness and tingling of degenerative spine disease is cause for worry and annoyance, these symptoms of degenerative disc disease are signals only of nerve pressure and not much more. They are obviously important and get the attention of anyone who must feel them. However, there is a particular symptom that actually should be more disturbing and that is muscle weakness. Any weakness of the leg muscles is a serious sign that nerve root damage is occurring as part of the ongoing spinal degeneration changes. Since the disc tends to be elastic and pliable, although less so as we age, it responds to added pressure by expanding slightly just like squeezing a balloon; it expands and bulges out beyond its usual shape and size because of its pliable nature. For this reason low back pain is generally made worse while sitting, since in the seated posture the discs of the lower back receive three times more weight than they do in the standing posture. For similar reasons a person with degenerative bone disease will tell you that bending, lifting and especially twisting actions will usually worsen lower back pain, because these also cause the disc alter shape and size and so apply pressure on the nerves. The same is true of the cervical disc disease, although the forces are usually much lighter and the extremes of pain will not be as great as a result. Some movements and postures can reduce or reverse the swollen and bulged condition of the discs and in turn benefit the irritated and painful nerves. Walking – which affects the spinal discs much differently than standing – and easy running can have a massaging affect on the swollen discs to reduce degenerative disc disease changes. Any movement is better than no movement as far as the discs are concerned because movement forces tissue fluid out of all stagnant tissue, and reduces pain. Prolonged sitting or standing precipitates many more degenerative disc disease symptoms than easy walking or similar activities. How can I help my degenerative disc disease? There are many wonderfully effective ways to use acupuncture and acupressure to for pain relief and reduction of local inflammation associ0ted with degenerative disc disease. Acupuncture has a high rate of success for symptomatic control of many problems related to arthritis, especially the wear and tear type (osteoarthritis). Degenerative disc disease causes the nerves to become pressed upon, or compressed, as the disc cartilage thins and allows the spinal bones to come closer together; in addition many small and large tissue changes are part of this process as the disc wears thin. All of this disc thinning can result in what some people would call a pinched nerve, whether in the low back or the neck. There are a series of simple and effective things a person with a pinched nerve can do that can be very helpful in many cases. Review pinched nerve degenerative disc treatment to learn how to help yourself and reduce or eliminate the need for more aggressive medical treatment of degenerative disc disease. Someone with degenerative spine disease will feel better by changing positions and frequently moving a little. Lying down is usually the best posture – initially – because this position puts the least amount of compression on the spinal discs and so relieves back symptoms. However, lying too long in one position (sleeping) will cause back pain because the lack of movement allows tissue fluid to collect in the areas of spinal degeneration. This static posture even though it is beneficial at the beginning will eventually result in pain and other symptoms.